Rooftop Reviews: Happy Birthday to Me! Today is my 60th Birthday; which means I get to tell this story again. I've only told it once before on here in the last 6 years; but I wish I had a dollar for all the other times! But since it is my birthday; I'll presume your indulgence while I tell it again. 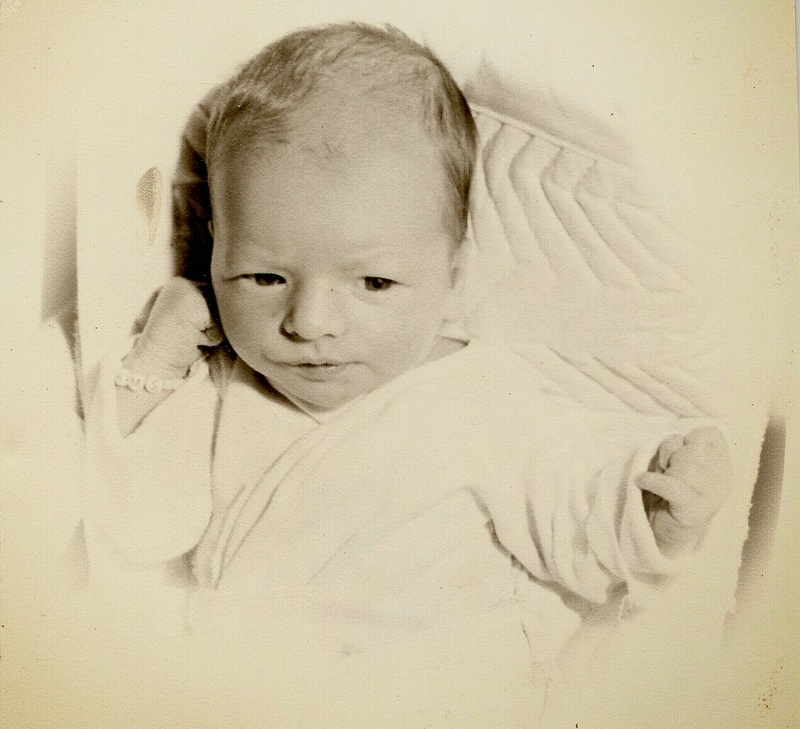 This is me the day I was born. At 3 AM my Mom woke my Dad and they had to get a cab to take them to the hospital. We wouldn't have our first car until I was about 3 years old. Upon arrival at the hospital my Dad; having waited on my older brother's arrival for 12 hours; figured he had enough time to go out and get something to eat and pick up a present for my Mom. He got back and fell asleep in the waiting room, waking up at about 10:30 AM and wondering how my Mom was doing. Approaching a nurse, he asked, in that timid way that only expectant Fathers can, how my Mom was doing. The nurse looked at him as if he were the dumbest thing she had ever laid eyes upon and then informed him that my Mom had given birth to me several hours ago at about 7:47 AM. They would later name a plane after the event. I know this story to be true; well not the part about the plane; because my Mom told it to me every year for the 30 years of my life that she was here. I never got tired of hearing it and I never get tired of telling it. Hell, I was almost born in the taxi! And to top it off I was a full breech baby- arriving feet first- ready to hit the road. You can see it in the picture, my fists are all balled up and I'm leading with my left, holding back that right until it's needed.